Skating is one of the most precious things in my life, and I would never give it up, not even for the universe. Why? It’s evident, isn’t it? Roller Derby is an incredibly accepting and warm community that not only welcomes you with open arms, but also teaches you cooperation skills and helps form closer bonds with your teammates. I don’t quite remember orientation that well, but I do recall that it took me, personally, four years to make it on to the Juniors [Travel Team]. Starting at age eight, I honed my skills, as mediocre as they were, until I got accepted onto the team. I had been so happy that day, tears welling up in my eyes like rain drops. It was the best day of my life, to see my efforts rewarded with one as priceless as such. From then on, I have pushed my lungs, heart, and soul to the very MAX. 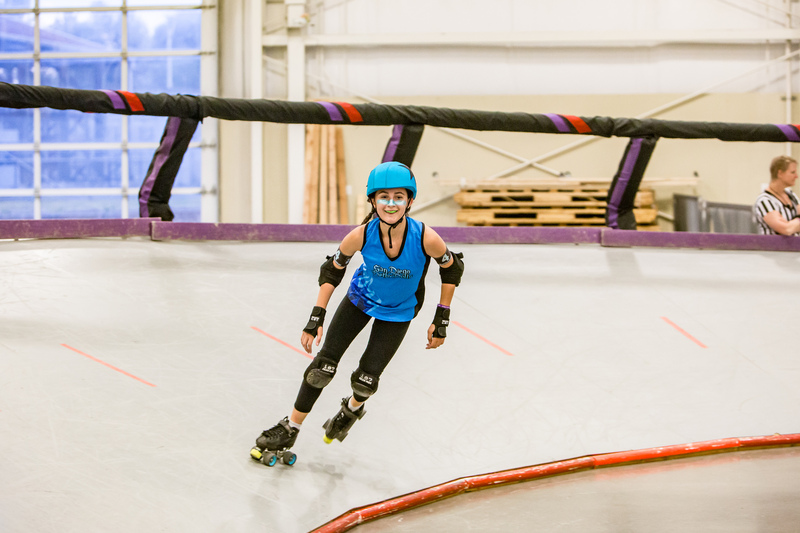 For me, continuing my almost eight year career in this sport, Derby is almost like my second family, second life, rather. My wonderful team supports me and encourages my mistakes, seeing them as means to improve instead of means to back down. They laugh, live, and love me with all their might, no matter how mad or annoyed I make them, which, I hope, is not too often! 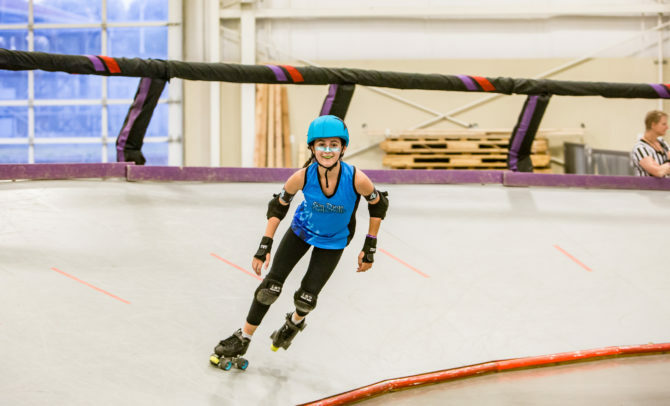 In addition to being an extraordinary source of friendship and family, Roller Derby is a fantastic way to build up muscle, expand awareness of your surroundings, and toughen you up a bit, that is, if you need it. It’s been, and will be for years to come, an inspiring sport that all people should experience, no matter who you are, what you look like, or what your personality is. San Diego Derby United is the best place to be, for friendships start here, flourish here, and stay here.